Looking for a better daily coffee fix? Compare major coffee shop chains with our customer satisfaction ratings. It may be best known as the home of delicious snacks, but Muffin Break clearly brews up a perfect overall coffee shop blend of great coffee, a welcoming environment and great service. It’s no secret that New Zealanders love their coffee, and while many of us enjoy a homemade cuppa, nothing compares to a quality barista-made coffee. That’s probably why 65% of survey respondents told us they consider café coffee as a bit of a treat or reward. 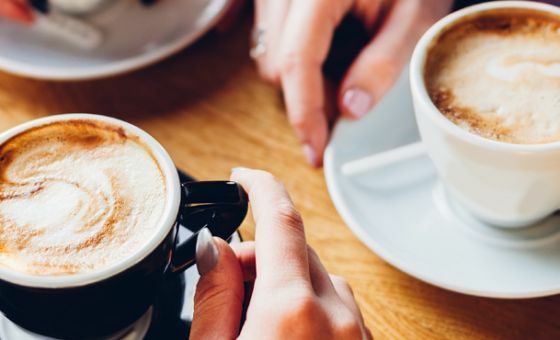 Interestingly, 28% of Kiwis say they can’t function properly without their coffee, while 22% claim to suffer from withdrawal symptoms when they don’t have the amount they’re used to. Unfortunately, this caffeine kick comes at a cost. In 2015, we found the average New Zealander spends $711 on coffee every year – about the same you’d pay for a new big-screen TV. To save money, 42% of consumers have restricted their coffee habits, while 15% have tried to stop altogether. 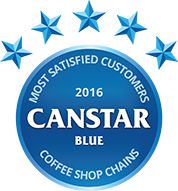 At Canstar Blue, we appreciate great coffee. But how do you know what coffee you can count on? 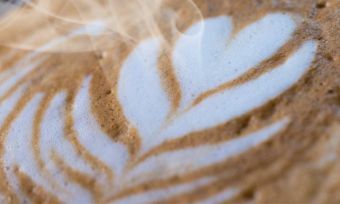 To save you some time, money and possibly tastebuds, we surveyed more than 1,700 adults to find out how they rate the coffee shop chain they most recently visited, across a number of important variables, including the quality of coffee, but also the taste of food and customer service, amongst other things. The results revealed a clear winner – Muffin Break. It may be best known as the home of delicious snacks, but Muffin Break clearly brews up a perfect overall coffee shop blend of great coffee, a welcoming environment and great service. As you can see, while the most significant driver of satisfaction is the taste of the coffee, it won’t be enough to carry a coffee store. It also needs to have great food, quality service and be good value for money. Canstar Blue commissioned Colmar Brunton to use the ConsumerLink panel to survey 2,500 New Zealand consumers across a range of categories to measure and track customer satisfaction. The outcomes reported are the results from customers within the survey group who have visited a coffee shop chain in the last 6 months – in this case, 1,782 people. Would you buy coffee from a Robot? Are robots set to take over the service industry? Some think so. 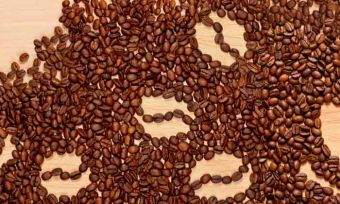 In our most recent survey, we had a look at the drinking habits of coffee lovers across the country. So who loves their espresso machines the most? Our most recent survey takes a look at the coffee habits of New Zealanders. Our survey shows 76% of Kiwis like to try new coffee flavours. Come on a free journey around the world for a virtual taste test.